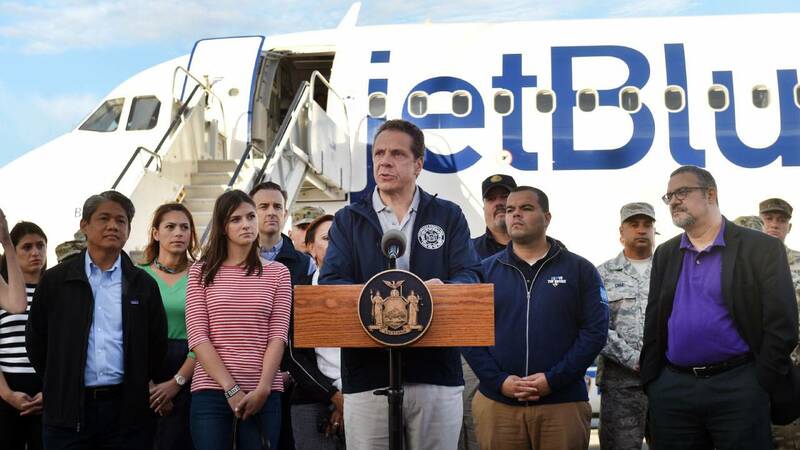 Governor Cuomo is in Puerto Rico today, assessing damage after hurricane Maria, and bringing some initial supplies to the country. Cuomo spoke just before taking off from JFK airport in a fully loaded plane provided by Jet Blue. 60 of New York’s National Guard will also be going, to travel on land and in Blackhawk helicopters to offer assistance. And the governor is bringing several power system engineers with him to assess how best to repair the damaged electrical grid. Cuomo says New York has the largest Puerto Rican community outside of the Island, and many are worried about their relatives there. Cuomo says Friday’s trip will be the first of many, as the Island rebuilds and recovers. It’s the second trip in a week to the Caribbean for the governor. Cuomo traveled to the US Virgin Islands last Friday to help with damage there from hurricane Irma. Will Miner challenge Cuomo in 2018?